Noa Chaiybe A”H, was the most serious of the Remedia baby formula victims. She was niftar on Tuesday, 24 Elul 5778, during the afternoon hours, at the age of 15. She was severely disabled as a result of being fed the baby formula back in 2003, which was learned to have lacked B1 (Thiamine), leading to disastrous results, as B1 is essential for one’s nervous system. The case became known in Israel as the “Remedia case”. Over 20 children were disabled as a result, and five children died and 12 were seriously impaired for life. There was another fatality, back in January 2010 R”L, Inbar Sova A”H, just two weeks after her seventh birthday. Noa sustained irreversible profound damage to her neurological system as a result and was in a vegetative state since she took ill.
Mrs. Aviva Chaiybe, Noa’s mother, told the press, “Noa was with us for 15 years, fighting, and now, she just became too tired”. Mrs. Chaiybe added, “She was comatose for the past four years, but I continued to care for her in our home. She had her own intensive care unit at home. Other than this, it is too difficult for me to speak about it now”. During her difficult life, Noa was also hospitalized numerous times in Afula’s HaEmek Hospital. 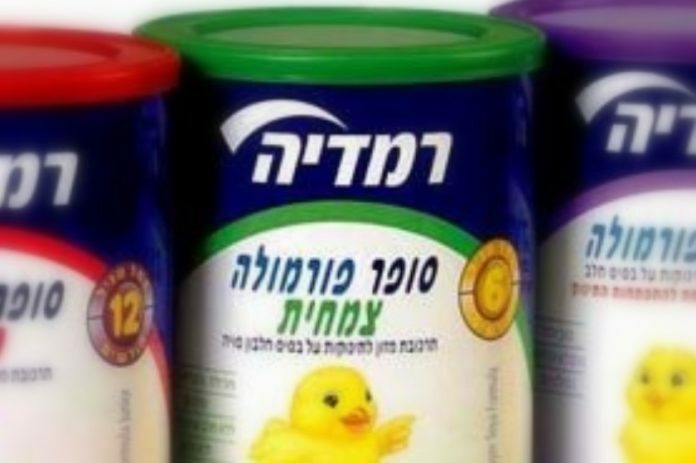 Three infants died and some 20 were left with severe disabilities after consuming nondairy formula from batches of the Israeli-marketed brand Remedia sold between July 2003 and November 2003. A decade after the affair, the court sentenced former company executives to relatively light sentences. Frederic Black, the company’s director of food quality and technology, was convicted of causing death by negligence and was sentenced to one year in prison and another 22 months in prison. CEO Gideon Landsberger was acquitted of most of the charges but was convicted of failing to comply with a standard. The five Health Ministry employees who were responsible for importing the formula into Israel were also tried. In June 2011, they admitted to the charges against them as part of a plea bargain, that their actions may have played a role in the spread of a disease. They were not convicted, and the punishment imposed on them was only 400-500 hours of community service. Today the liberals would’ve just pulled the plug on her when she was an infant. Liberals like the Spartans and the Nazis. Nebech, nebech, such a sad tragic story.